Mr. Musicmaker, a.k.a. Steve Makofka, is a Centerville based children’s entertainer who will offer a new musical program for children at Wasson Music Center in Centerville. Steve Makofka, former pastor of the Grace Brethren church in Centerville, Ohio, is featured in his local newspaper this week. Here is an excerpt–to read the entire article click here. Got bored kids? Send them to music class! Wasson Music Center has announced a brand new musical program for children. Mr Musicmaker, a.k.a. 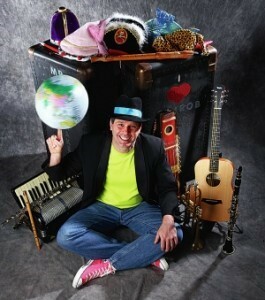 Steve Makofka, is a Centerville based children’s entertainer. He has performed for Centerville’s Parks and Recreation Department, as well as the Summer Arts Program, and is a popular guest at daycare centers throughout the region.